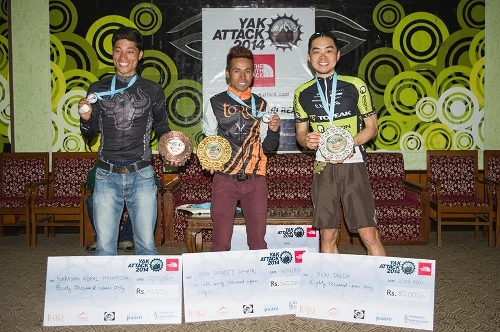 TORQ Performance MTB Team guest rider, Ajay Pandit Chhetri, of Nepal, last week took a clear win in the 2014 Yak Attack; The highest altitude, and one of the toughest, mountain bike stage races in the world. Thanks to GauravMan Sherchan for this image. Having lost the title he held for 3 consecutive years in 2010 to 2012, Ajay finished 2nd in 2013, and had a game plan to recapture his crown which he executed beautifully. Using his natural climbing ability, he attacked the field on the 2 biggest stages of the race, stages 2 and 4. Ajay finished the 8 day stage race nearly an hour ahead of 2nd place, amid a very strong field of both local and international talent, which included Topeak Ergon rider Yuki Ikeda, Kona 24hour pro, Cory Wallace, and ex Tour De France rider, Gerrit Glomser. 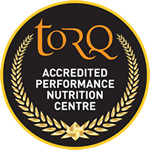 Stage 2, sponsored by TORQ, comprised of 81km of rugged terrain and 2800m of climbing and Ajay was able to build a 7 minute lead over his closest rival, Yuki Ikeda (Topeak-Ergon) by the time he reached the finish line. Relinquishing 5 minutes to Yuki during the flatter stage 3, Ajay again attacked during the 64km, 2800m, stage 4, which climbed into the mountains and finished at an elevation of 2700m. This time he was able to open a gap of 8 minutes on Japanese rider, Yuki. From here, the race continued to gain elevation, topping out at 5416m and Ajay was able to further capitalize on his elite (and quite incredible!) climbing ability. By the time the riders had crossed the pass on day 7, the title of North Face Yak Attack champion was as good as in the bag. However, proving his talents are not just in climbing alone, Ajay resisted the lure of sitting back on the final 60km downhill stage and finished in first position, over 5 minutes ahead of second place, completing the total course in a new record time of 23 hours 58 minutes and 44 seconds. In July, Ajay, together with a national Nepal mountain bike team, are traveling to South Africa for the MTB World cup, and, as the winner of Yak Attack 2014, Ajay has gained automatic entry in the next in the Yak Attack series of mountain bike races – “Rumble in the Jungle”. This will be taking place on the tropical island of Sri Lanka in November 2014, and Ajay has hopes of securing some of the $20,000 of prize money on offer and being the first rider to hold the Sri Lankan crown. Huge congratulations to Ajay from everyone at TORQ, we wish him all the best with his future races and hope to see him back in the UK soon. As always, a big thank you to all the team sponsors, without them we wouldn’t be able to do what we do. Kapz Guru – Custom top caps.